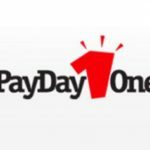 – Borrow Up To $250 for 30 days. The LendUp company is located in California, San Francisco. The company positions itself as a lender whose mission is to provide alternative types of loans and to be a company with social responsibility. It is noteworthy that LendUp offers its prime rates and terms only to repeat clients in individual states, and terms and rates for first-time or occasional customers are the same as other regular payday lenders offer. Your online-only application form is processed within some minutes and as soon as it gets approved, the money is transferred to your account within one business day. Please note that for the funds to be received the next business day loans have to be submitted by 5p.m Monday-Friday, except holidays. The exact time for getting funding depends on your bank’s requirements.If a client proves to be a responsible borrower and pays loans on time, he may be qualified for preferential term and rates. 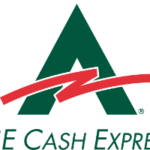 For instance, loans up to $1,000 may be offered at 36% APR interest rate. What Are LendUp’s Interest Rates? As a rule, interest rates depend on the amount you borrow and the term you borrow for, either it is a 7-day term or a 30-day one. In this case rates can make either 210.48 % or 767.54% – if you are a first-time borrower. If you become a repeat customer and gain a reputation of a reliable payer, you can qualify for lower rates as you move through the so-called “tier system”. Thus, interest rates depend on the term of the loan, its amount and the state a potential customer resides in. If you are a first-time borrower, the amount available makes $250. If you resort to the services of the bank for the second time and become a repeat customer, you can count on larger amounts, e.g. up to $1,000. 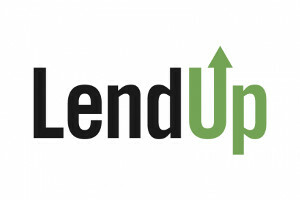 How Is LendUp Better Than Other Lenders? What makes LendUp loans different from other lenders is that it gives their clients an opportunity to constantly improve their terms and rates. The type of loan the company provides can be reported to credit bureaus. The further you go up the “LendUp Ladder”, which means that you pay off your loans and borrow new one, the more money is available for you to be borrowed on more favorable terms. Moreover, as soon as you get to Platinum and Prime levels, there is a chance to report your payments to credit bureaus, which automatically improves your credit score. If, however, you are a first-time borrower or just an occasional customer with a small amount to borrow, this rule is not applicable. There is one more plus for LendUp customers and it is absence of loan rollovers, when borrowers are prevented from falling into debt. First-time borrowers will certainly have to pay rather high interest rates, but they can expect the rates to go down to 36% APR over time due to the “loyalty program”, which means a borrower earns points with every loan. Furthermore, you earn referral bonuses and are entitled to more credit. In case you have some more questions, you may call toll-free (855) 2LE-NDUP, email [email protected] or visit lendup.com.